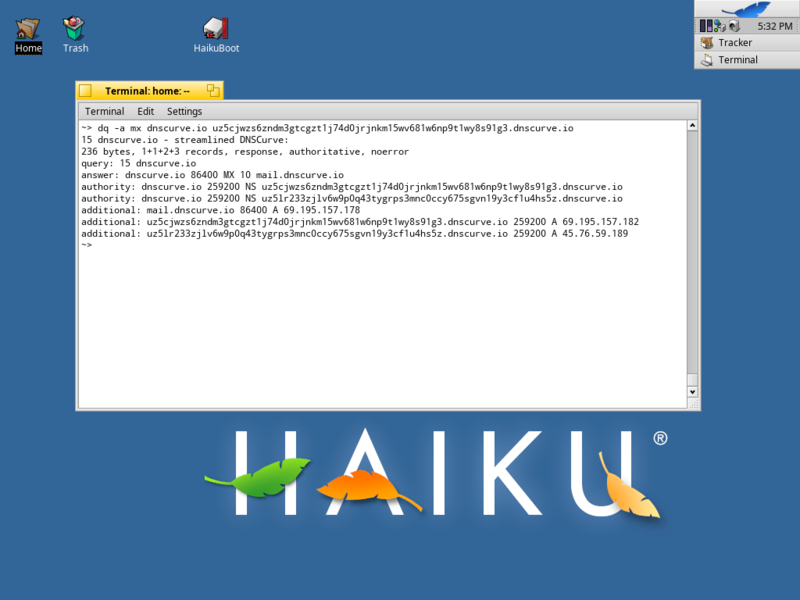 This page is about building and running DNSCurve software on the Haiku operating system. My Haiku machine is a bare-metal nightly image kept up to date with SoftwareUpdater. dq is a command-line DNS lookup tool that supports DNSCurve. It's easy to build and use on Haiku. Replace 8.8.8.8 with whatever DNS resolver you prefer.